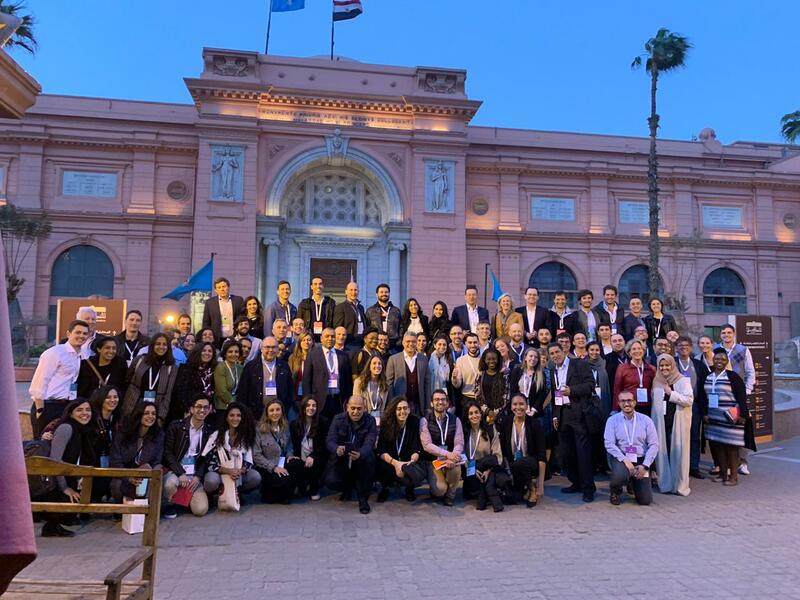 CAIRO, EGYPT - March 18th, 2019 - Endeavor Egypt hosted Endeavor’s 86th International Selection Panel (ISP) from March 13-15, 2019. The event attracted 120+ attendees from 15+ countries including world-class business and industry leaders, investors and some of the most promising entrepreneurs around the world. The ISP concluded with the selection of 15 high-impact entrepreneurs leading 12 companies from 9 markets whose selection marks their admission into Endeavor’s global network that now includes 1,840 entrepreneurs leading 1,153 companies in 34 markets around the world. From Egypt, the Founder and CEO of Wuzzuf and Forasna, Ameer Shereef, together with the Founders of Dsquares, Marwan Kenawy, Momtaz Moussa and Ayman Essawy, were among the new class of Endeavor High Impact Entrepreneurs selected at the Cairo ISP. The ISP, held eight times a year in different cities around the world, marks the final step of Endeavor’s rigorous, multi-step, mentor-led selection process to bring the newest classes of high-impact entrepreneurs into the global Endeavor network of high-impact entrepreneurs. During the three-day event, panelists, who are top business leaders, investors and mentors, screened 25+ candidates to determine the newest additions to the Endeavor Network. During the interviews, global mentors advised and assessed the companies’ ability to scale and create economic impact. Some of the attending Panelists at the ISP included notable international industry and business leaders including Chris Zook, Partner-Bain & Company, Gaston Frydlewski, CEO-Hickies, Akshay Shah, Group MD- Silafrica Plastics & Packaging International, Nashat Masri, Partner-Foursan Group, Lisanne Dorion, Principal- Lisanne Dorion, Stuart Gannes, Founder- SG Ventures, and Amr Shady, CEO-AiNGEL Corp. The first day of the Cairo ISP kicked off with Orientations and introductions followed by a special Panelist Cocktail Reception hosted by Transcendium. The Welcome Dinner, marking the official start of the ISP, was hosted by Inertia Egypt at the Nile Ritz Carlton. There attendees networked and socialized, against the impeccable backdrop of the Egyptian Museum and Tahrir Square while listening to melodic and mesmerizing tunes of traditional Arab musical ensemble. The Welcome Dinner was preceded by a private and exclusive guided tour of the Egyptian Museum, in the company of H.E. Dr. Khaled Al-Anany, Egypt’s Minister of Antiquities who was keen on greeting and meeting with the ISP guests in person. During the visit international guests got to see and enjoy some of the museum’s most valuable treasures. Interview Day was hosted by The American University in Cairo (AUC) Center for Entrepreneurship and Innovation, a long standing strategic partner to Endeavor Egypt, at the University’s historic campus on Tahrir Square. Entrepreneurs pitched their company visions to a selection of panelists throughout the day, and also received feedback from panelists on how to best achieve their strategic goals. Throughout the day, ISP attendees were treated to a truly Egyptian and ‘homegrown’ breakfast especially prepared for the ISP byZooba, a delicious lunch courtesy of Egypt’s favorite dining experience Crave, and to an all-day freshly brewed coffee and baked goods courtesy of The Bakery Shop (TBS). Attendees were also given the opportunity to tour the different private rooms of the historic nineteenth century palace that is now part of the University campus. Interviews and pitches were followed by a special Networking Dinner hosted by Baraka Retail Group at the Churchill Garden of the Marriott Mena House Hotel overlooking the unrivaled and breathtaking views of the Great Pyramids of Giza, the last remaining Wonder of the Ancient World. On the final day, Deliberation Day, panelists deliberated in successive four-hour sessions while candidates took part in a “decompression” activity: starting off with a drive around Islamic Cairo followed by a walking tour of Moez Street and a stroll around the Khan El-Khalili Bazaar. Candidates then headed to the Greek Rowing Club were they were greeted by some of Cairo’s most promising entrepreneurs as part of a special Endeavor and Mindsalike networking event, where one of Endeavor’s Top Mentors, Alaa Hashim, led an engaging talk to the group. In the evening, everyone gathered at Stash for the Feedback Dinner where the candidates where entrepreneurs celebrated their selection into the Endeavor Network, and received feedback from the panelists- all done against the spectacular rooftop views of the Nile and Cairo. Endeavor strives to select the world’s high-impact entrepreneurs to help them think bigger, make better decisions, and multiply their influence. Through a carefully designed suite of services, Endeavor provides its Entrepreneurs with access to networks, access to talent and access to smart capital. Endeavor Entrepreneurs have had a significant track record of creating 1.5 million jobs, generating $15 billion in revenues, and building sustainable growth models in their home countries. “It is very exciting to be hosting the ISP in Cairo at such a dynamic and transformational time in Egypt’s economy, entrepreneurship ecosystem, also at a time when we’re turning ten this year in Egypt. Over the past ten years, we’ve had incredible impact thanks to our entrepreneurs. More than 8,000 jobs have been created by Egypt’s entrepreneurs, and just last year our companies generated almost four billion Egyptian pounds in revenues. This is a very tangible impact on economic growth and we can’t wait for the next ten years to enable and multiply our Entrepreneurs’ impact on the economy even further,” said Mohamed Rahmy, Managing Director of Endeavor Egypt. Inertia Egypt, led by Endeavor Entrepreneurs Hussein El-Rifai and Ahmed Adawy, for sponsoring the ISP and hosting the Welcome Dinner. Baraka Retail Group, led by Endeavor Entrepreneur Ahmed Ragab, for sponsoring and hosting the Networking Dinner. Egypt Ventures, a Strategic Partner to Endeavor Egypt, for sponsoring the ISP. The American University in Cairo Center for Entrepreneurship and Innovation, a Strategic Partner to Endeavor Egypt, for hosting and supporting the ISP Interview Day. Zooba, led by Endeavor Entrepreneur Chris Khalifa, Crave, led by Endeavor Entrepreneurs Hazem El-Dalati and Fahed El-Dalati and TBS, led by Endeavor Entrepreneurs Basel Mashour, Sameh El Sadat and Tarek El Nazer for sponsoring Interview Day F&B. SWVL, led by Endeavor Entrepreneurs Mahmoud Nouh, Mostafa Kandil and Ahmed Sabbah, for sponsoring the ISP transportation. Transcendium, led by Endeavor Mentor Alaa Hashim and Mohamed Kamel, for sponsoring and hosting the Panelists’ Networking Cocktail.